Ontario Joe Pardue Utilitac II. 4 5/8" closed linerlock. AUS-8A stainless standard edge clip point blade with black EDP coating and dual thumb studs. Textured black Zytel handles. 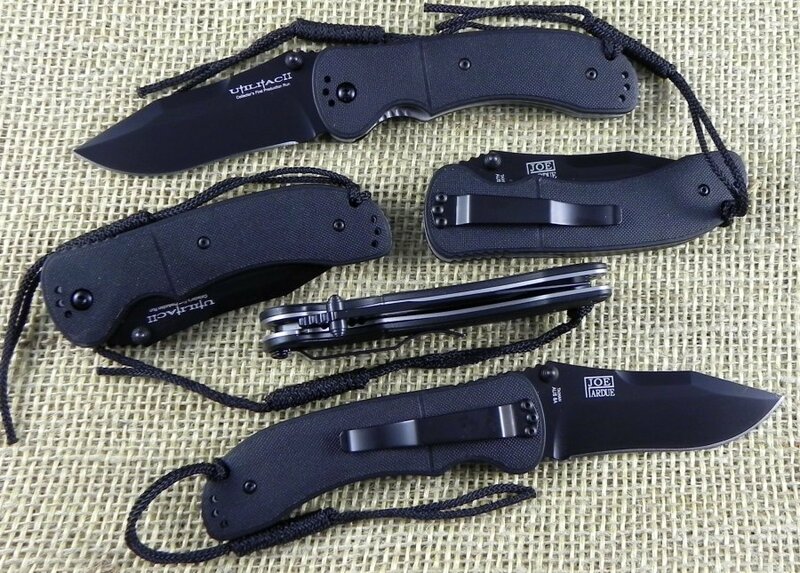 Reversible black finish stainless pocket clip. Black cord lanyard. Made in U.S.A.